"Shadows Over Hercopolis" is added to the PC, Xbox One, and PlayStation 4 versions of the game with the 4.21 patch today. The setup appears to be that Loki has kidnapped Hercules so it's up to your merry band of gods to battle through Loki's dungeon and rescue the son of Zeus. There will be lesser enemies to fight, puzzles to solve, and huge bosses with multiple stages that require significant teamwork to overcome. Beating a boss rewards your group with some sweet loot that will power you up so you can face even greater evils. It supports up to three players to team up online - each using their god of choice - and will be available until patch 4.24, which likely will drop sometime in December. More info can be found over on the SMITE website. We'll be checking out the mode tonight during our regular Monday night stream. The few times we've check this thing out in the past, we've enjoyed our time with it, and I'm looking forward to playing this new mode. It's impressive that the dev team is able to do these different "Adventures" every month and a half, though it also makes me wish some of the PvE ones would stick around for a bit longer. 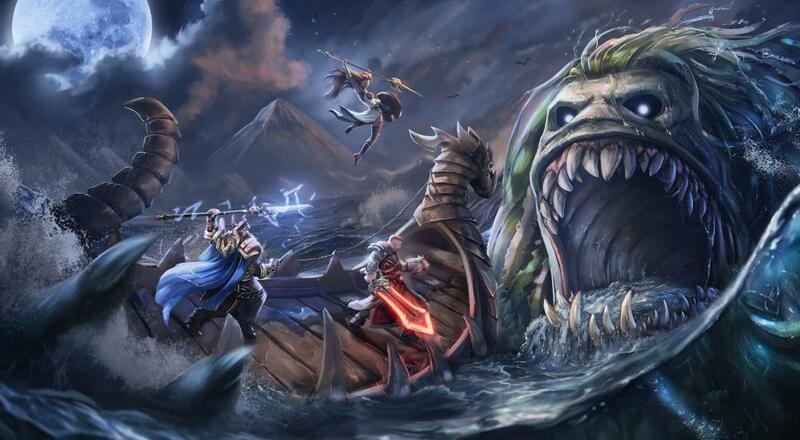 SMITE is available on PC, Xbox One, and PlayStation 4. It is free-to-play with a rotating selection of gods you can use. There is an in-game currency earned via completing matches and quests, which can be used to purchase gods for permanent use as well as cosmetic skins and other items. There is also a premium currency that can be purchased with real world money that can also be used to buy things in-game, and there's a $30 option that unlocks all the gods, past and future.